Electricians world-wide are currently seeing an increase in job opportunities, and it is predicted that this influx will only rise in the coming years. It is one of the few sectors that have not only survived the recession, but might actually be better for it. This is due to companies and private residences turning to greener and more energy efficient products and systems. It seems that electricians are busier than ever, installing and maintaining systems, and even assisting in the design of new economic products. This is the perfect time to jumpstart your career as an electrician, and it is never too late, nor too early to begin. 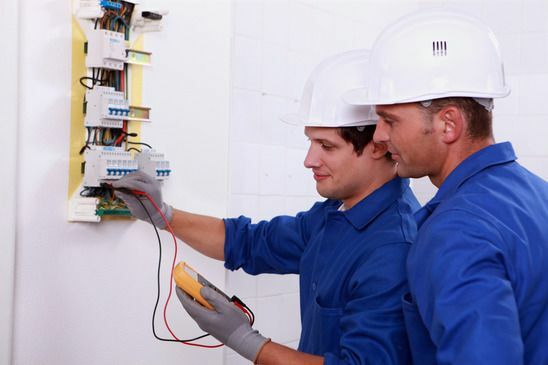 To become an electrician, you will have to follow a range of specified steps. This is in order for you to get a license. However, you will already be earning some money as an apprentice before your officially start to work as a certified electrician. But how much can you earn as an apprentice, and will it be enough to carry you through your studying years? What are the steps to becoming a licensed electrician, so you can venture out and start your own business? Here is a quick guide. How Much Does An Electrician Apprentice Earn? As an apprentice, you will be paid according to an hourly rate for the work you do while being trained. Most people do their apprenticeships while they are also studying, which is a great way to earn money. As you will also have to know how to run your own business as a certified electrician, earning and managing your own income early on in the process will only do you good. The amount your will be earning is calculated according to the amount of years you have been an apprentice, whether you have chosen to specialize or not, your mentor’s hourly rate, and the region you are working in. A general apprentice will most likely earn less than someone who is learning to specialize in a specific electrical field, such as commercial apprentices. A second-year apprentice will also earn more than a first-year apprentice, as he/she will have more working experience. You will be earning a percentage of your mentor’s hourly rate. This percentage differs from region to region, as well as from one area of expertise to another. The average annual incomes of electricians differ from State to State, so this also needs to be taken into account. According to the Bureau of Labor Statistics, Alaska is ranked as the highest paying State for electricians, and North Carolina is the lowest ranked. All these factors need to be taken into account when estimating what you will be earning as an electrician apprentice. However, according to the Bureau, it ranges between $12.00 an hour, to $24.00 an hour for a first-year apprentice. This is regarded as rather decent pay, and most students find that they can survive on this. You need to remember that your pay will increase every year as you learn more. An average apprenticeship lasts for about four years. There are a number of specified steps that you need to follow in order to become a licensed electrician. First, you need to obtain a high school diploma, or General Equivalent. This is necessary, as you will be required to write (and pass) an algebra and comprehension test before being accepted into an apprenticeship. Next, you will have to find a decent college or technical school that suits you. At this point it would be helpful for you to know whether you would like to specialize in a certain field or not, as this will often dictate the type of course you need to take. Don’t be afraid to look at courses outside of your State. There are even a few online courses available. While studying, it will be helpful if you could complete an apprenticeship at the same time. Apprenticeships are essential to gaining a license later on, so make sure you lock one down as soon as possible (they take approximately four years to complete). Look to local companies, unions, or even the school you are going to attend (some offer apprenticeships as part of their course). After completing both your studies and your apprenticeship, you will need to write a licensing exam at your local licensing authority. This will require you to learn the laws and codes that are acceptable in your State. Once you have completed this, you will be a licensed electrician. Becoming an electrician takes a good amount of discipline and hard work. But if you are tech-savvy, analytical and a great problem-solver, you will find this to be a very rewarding line of work! With all the new inventions and ingenious leaps in the field, there has never been a more exciting time to be an electrician. This entry was posted in Electrician Jobs, Electrician Qualifications, Electrician Salary on March 16, 2014 by admin.